Where to Buy Golden Eagle Fogger, Golden Eagle Electric Start XL 2610 Thermal Fogger - $1,599.95 for Sale with Fast Free Shipping! 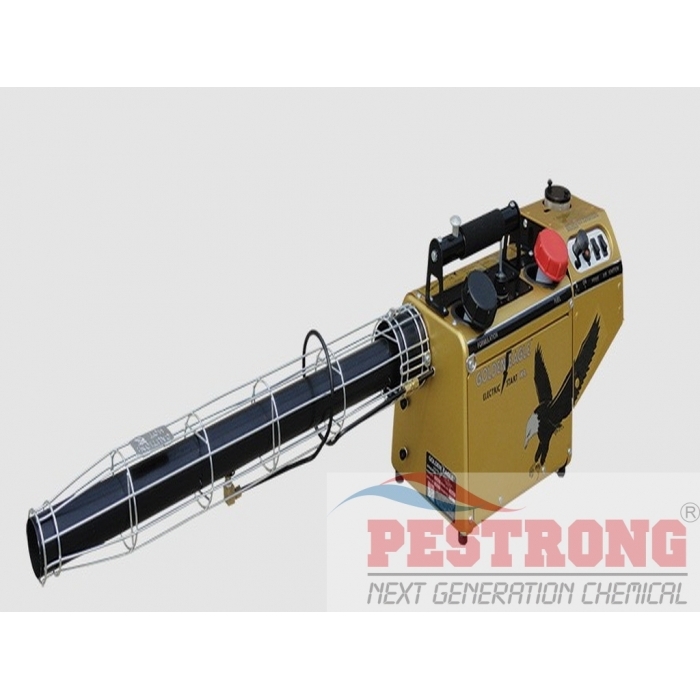 Golden Eagle Electric Start XL 2610 Thermal Fogger easily, effectively and economically dispenses oil based insecticides, fungicides, germicides, disinfectants, odor control and other chemical products. Golden Eagle features a revolutionary new electric starting system to assure greater reliability, effectiveness, fuel efficiency and ease of operation eliminating the need for manual starting. Formulation Container: 1.1 gallon or 4.2 liters. The best thermal fogger I have ever used. It's extremely powerful and ready to go quickly. It will get a fogging application done in minutes. It applies a perfectly even coating.